The Los Angeles Kings will direct and oversee the Los Angeles Jr. Kings Hockey Club player development, the club announced on Aug. 26. The Jr. Kings are realigning and will now fall directly under the management of the Toyota Sports Center. The Jr. Kings will be operated directly by the TSC with guidance on coach and player development from the Kings Player Development staff. As part of the announcement, Nick Vachon – a former NHL player -- will assume the role of General Manager of the club. In addition, the Executive Directors include Luc Robitaille, Rob Blake, Mason Donley and Chris Crotty of the Kings; Brad Berman of ASEC; Brad Sholl of the Toyota Sports Center; and Steve Yovetich, the current President of the Jr. Kings. “This is another opportunity for us to help grow the game of hockey by contributing time and resources that will continue the growth and development of young players in this region,” Robitaille said. 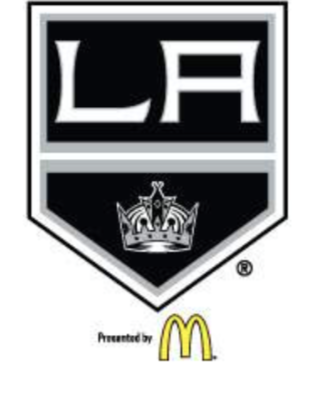 Along with the Lil’ Kings Learn To Play Hockey Program and the LA Kings High School Hockey League, the announcement is also part of the Kings’ goal to continue to grow youth hockey in the Southern California area. The Kings will continue to develop new programs to work with all hockey programs, clubs, leagues, and rinks in the greater Los Angeles area as well. LAJK annually fields more than two dozen teams separated into two categories: elite AAA teams, and Tier 2 A and B teams. All teams in both categories compete under the administration of USA Hockey, which in California is also represented locally the California Amateur Hockey Association (CAHA) and the Southern California Amateur Hockey Association (SCAHA). It’s the objective of LAJK to produce player who develop the skills necessary at each level so that each player may advance to the next appropriate skill level team. Our emphasis in the earliest stages of team play is to teach the skills necessary to advance; as with all competitive sports, as athletes progress the emphasis turns to team success.